4x2 matrix that supports ultra hd. 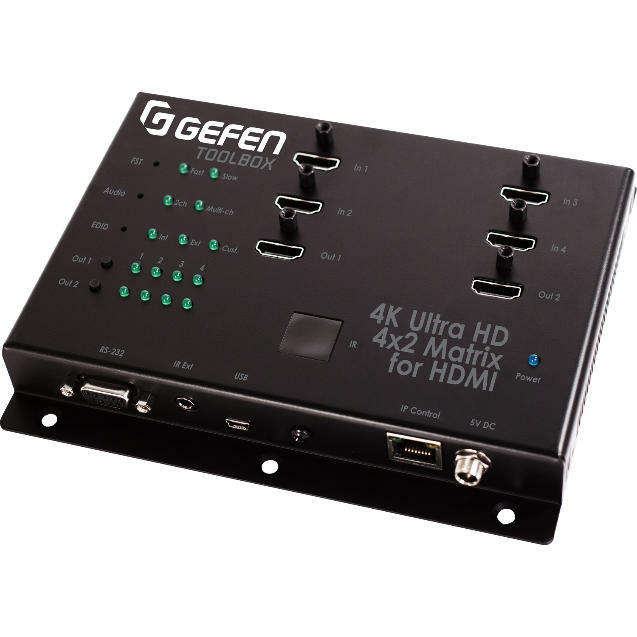 It is ideal for home theater applications , applications in retail , sports bars , schools , museums , hospitals, hotel lobbies and other instalacones where necessary display content ultra hd 4k x 2k ( 3840 x 2160 @ 30hz ). Supports hdcp, deep color , 3dtv pass-through , and lossless audio format such as lpcm 7. 1 , dolby truehd, and dts- hd® master audio. Control panel , ir remote control , rs -232 or via ip using telnet , udp, and integrated web interface server.